The proposal for free public transport submitted to the municipal government was widely popular, and is being trialled for one year in the city. Residents and visitors in the small Polish city of Gostyn can now use the buses for free, after the citizens took the opportunity to submit proposals to the city's budget. Submitting proposals in this way first began in 2013, and free public transport is one of seven proposals being carried out in 2014. It will be trialled for one year in 2014, and if it is successful it will be extended. City officials say that passenger numbers have increased steeply, as well as cutting traffic on the city's roads. This is despite the fact that the initiative has not been communicated very widely, due to the introduction of a public transportation card from May 2014. 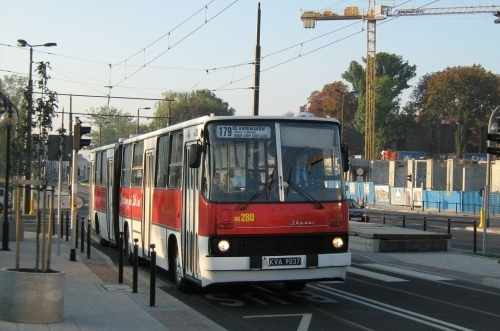 The total annual cost of providing free public transport in the city is approximately 190 000 zlotys (€45 000). Following the example of Estonia's capital Tallinn and other cities in Poland, the concept of free or subsidised public transport is spreading. Gostny is perhaps the first to offer free public transport without any restrictions, as others have required that participation in the scheme is limited to residents living and paying tax there, or, in the case of Nysa to car drivers with a valid licence and vehicle registration. For more information, click here (in Polish).